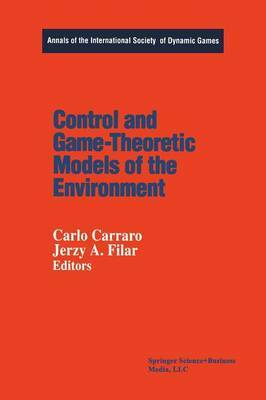 This book collects some recent works on the application of dynamic game and control theory to the analysis of environmental problems. This collec- tion of papers is not the outcome of a conference or of a workshop. It is rather the result of a careful screening from among a number of contribu- tions that we have solicited across the world. In particular, we have been able to attract the work of some of the most prominent scholars in the field of dynamic analyses of the environment. Engineers, mathematicians and economists provide their views and analytical tools to better interpret the interactions between economic and environmental phenomena, thus achiev- ing, through this interdisciplinary effort, new and interesting results. The goal of the book is more normative than descriptive. All papers include careful modelling of the dynamics of the main variables involved in the game between nature and economic agents and among economic agents themselves, as well-described in Vrieze's introductory chapter. Fur- thermore, all papers use this careful modelling framework to provide policy prescriptions to the public agencies authorized to regulate emission dy- namics. Several diverse problems are addressed: from global issues, such as the greenhouse effect or deforestation, to international ones, such as the management of fisheries, to local ones, for example, the control of effluent discharges. Moreover, pollution problems are not the only concern of this book.